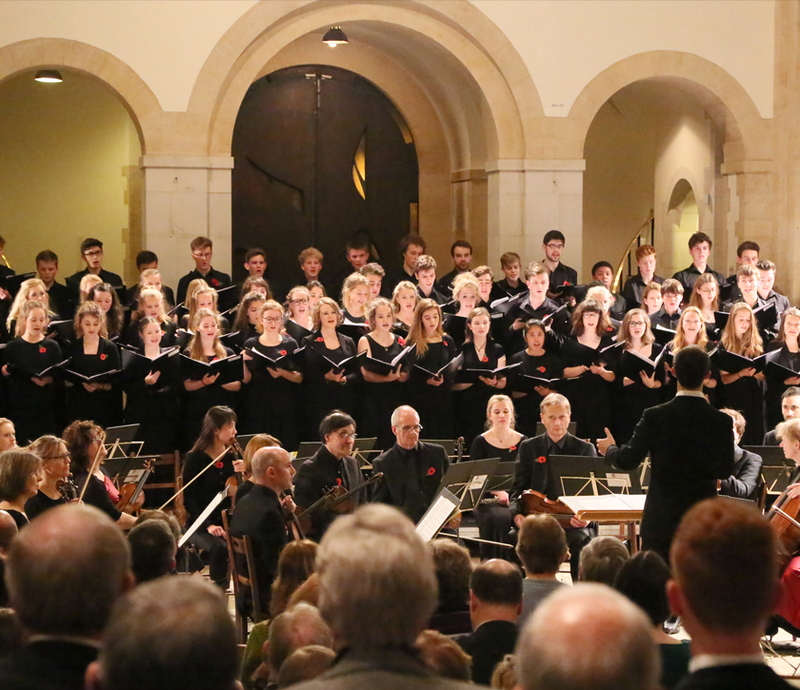 The London Mozart Players join musicians from The Portsmouth Grammar School for the annual Remembrance Concert. The centrepiece of the concert is a newly-commissioned work by PGS Associate Composer Alexander Campkin, setting words by Rupert Brooke and exploring new choral sound worlds. Alongside this piece are solo performances by Lydia Carter (oboe) and Francesca Clayton (soprano), with the LMP, and a performance of Imogen Holst’s orchestration of Britten’s ‘Rejoice in the Lamb’. In the second half, over 100 children from The Portsmouth Grammar Junior School and Castle Primary School join the PGS Chamber Choir, Year 7 Choir and London Mozart Players under the baton of Dominic Peckham to perform songs written by Jonathan Dove, inspired by Benjamin Britten’s ‘Friday Afternoons’ in a newly-commissioned orchestration written by Christopher Hussey and supported by the Aldeburgh Trust.